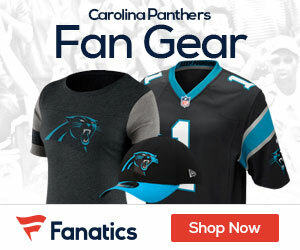 Panthers Gab - Page 2 of 217 - The Definitive Carolina Panthers Blog! The Panthers built a 35-7 lead Sunday at home against the NFC South rival Buccaneers, only to have to do a little extra work late in order to put away Tampa, winning 42-28. The win puts the Cats at 6-2 on the season, and now they have to quickly shift their focus to a very short week as they will head to Pittsburgh Thursday to take on the Steelers, who won Sunday against Baltimore 23-16 to move to 5-2-1. Back to Sunday, the Panthers got a big day from running back Christian McCaffrey, as he put up 157 total yards and scored twice. 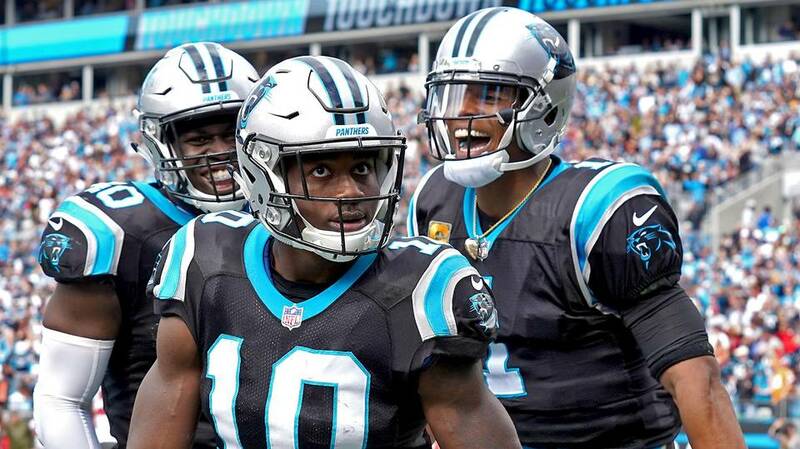 Second-year wide receiver Curtis Samuel scored on a 33-yard double reverse and hauled in a 19-yard TD catch midway through the fourth quarter to seal the two touchdown win. 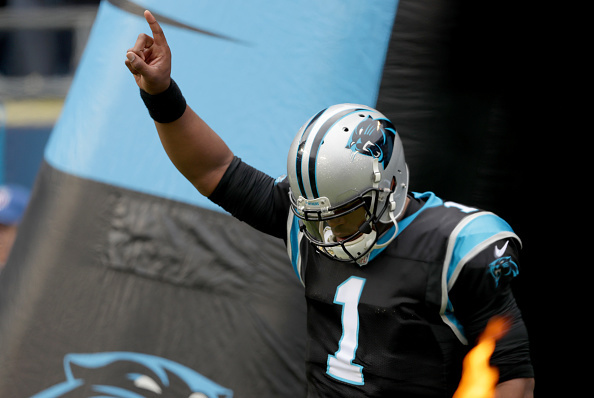 Panthers QB Cam Newton completed 19 of 25 passes for 247 yards and two touchdowns in the win. In the win the Panthers ripped off 35 first-half points after failing to score on their first possession. The 35 points was a franchise record for first-half scoring. Four of five were rushing touchdowns, including two from McCaffrey, and the fifth came from tight end Greg Olsen. “We have guys who are so explosive, so dynamic and so good in the open space,” Olsen said. 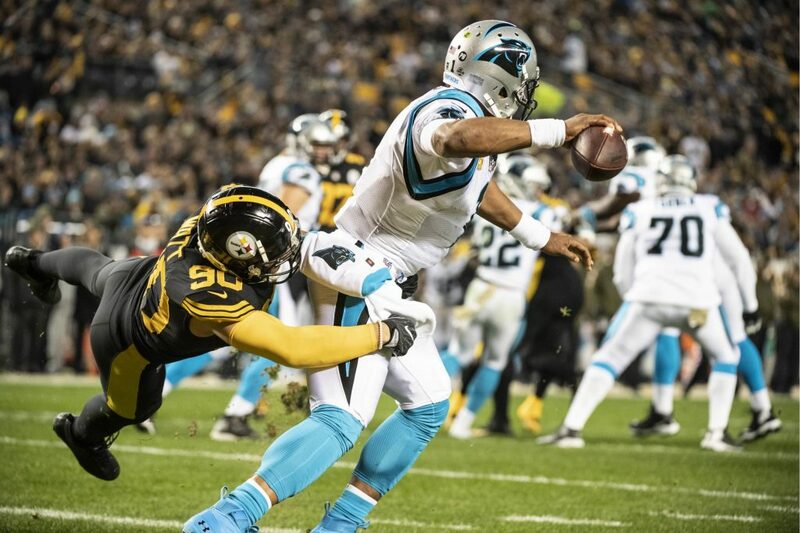 The Bucs came with pressure on D in the second half, and got to Newton, sacking him twice and hitting him four times in the third quarter, putting the Panthers offense in a tailspin. Tampa rallied, but rookie cornerback Donte Jackson put the game away, as he picked off a Ryan Fitzpatrick pass with 3:45 to play. The Panthers got some good news on Thursday, as quarterback Cam Newton returned to full practice and looks like he’s going to be 100 percent for Sunday’s game against the Buccaneers. But it’s clear they’re going to be managing him throughout the season. 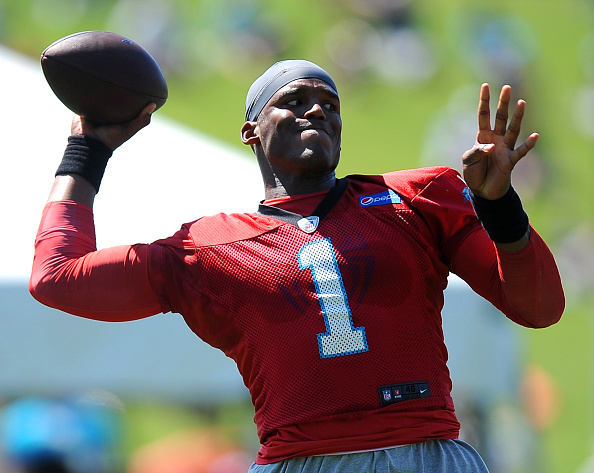 If the Panthers need a Hail Mary this week and he actually throws it, we’ll know he’s back to 100 percent. Wide receiver Torrey Smith was the only player who didn’t practice, making it appear he’s going to miss a second game in a row. The 5-2 Panthers are a team that looks like they can be a force when it comes to the NFC. They have an offense that can score points and put up some big numbers, and their defense is nothing to sneeze at. The team is still looking up at the 6-1 Saints, and if they are going to overtake them it’s not going to be easy, but they can do it if they keep playing at the level they showed Sunday with their win over the Baltimore Ravens. Today we take a look at the teams’ next four games, a critical stretch in which the team will have to keep playing at a high level to stay in the race for a possible wild card spot or even a division title in the NFC. This Sunday is a big NFC South game as the Panthers face the Bucs, a team that they will see later on down the road in Tampa as well. The Bucs have had an up and down 2018, with QB changes as well as some big wins (Saints), and awful losses (Steelers). The Panthers know this team can score, and will have to be on their toes offensively. Four days after the matchup with the Bucs, the Panthers travel to take on the first-place Steelers in Pittsburgh at Heinz Field in a Thursday night showdown. 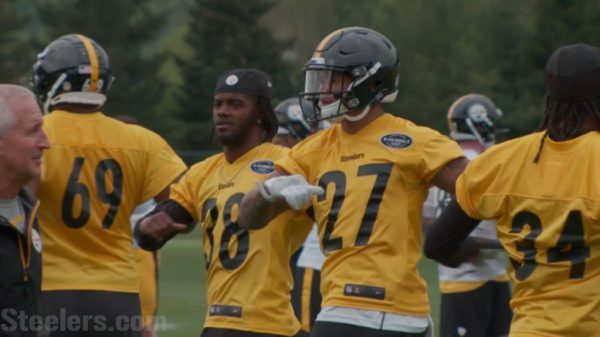 The Steelers are on a three-game win streak, and have started to look like one of the best teams again in the AFC after a slow start. A road game on a short week won’t be easy for the Cats. The Panthers get a 10-day break after the matchup with the Steelers, as they will travel to Detroit to take on the Lions, a team that sits at 3-4 and has been very up and down much like Tampa. With Matthew Stafford and their offense you can’t overlook this team, and playing at Ford Field it will be an interesting test for the Panthers. The final game of the next four will see the Panthers play host to the Seattle Seahawks, another team eyeing the playoffs with a wild card birth in the NFC (they’re not catching the Rams). Seattle has won two in a row, sitting at 4-3 on the season. Playing at home will give the Panthers a big edge, but you can never count Russell Wilson and the Hawks out. Video: Is Cam Newton Getting Enough Respect for the Panthers Strong Start in 2018? Coming off an impressive Week 7 road win against the Philadelphia Eagles, the Panthers sit at second place in the NFC South behind the New Orleans Saints. 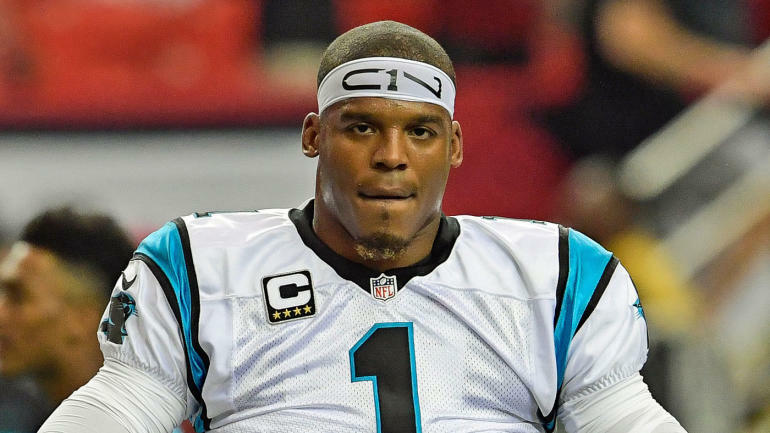 Stephen A. Smith says the Panthers are in this position solely because of quarterback Cam Newton, who is not receiving nearly enough credit as he should. Max Kellerman and Victor Cruz beg to differ, stating Cam receives the praise he deserves being a multi-dimensional and game-changing quarterback. However, Cruz says Cam’s legacy will ultimately come down to bouncing back from his Super Bowl 50 loss and claiming a title of his own. Reid split from the coalition last year because Jenkins had excluded Colin Kaepernick from meetings, and asked players if they would stop protesting during the national anthem if the NFL made a charitable donation to causes they support. 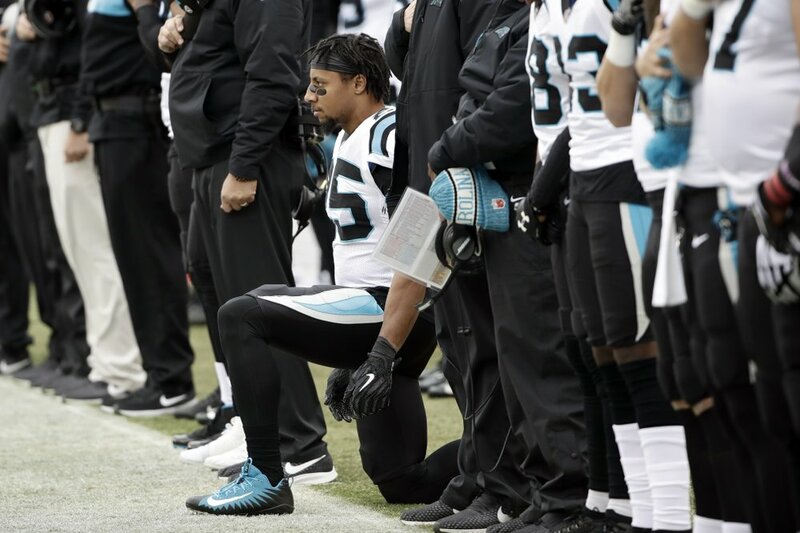 Reid, who signed with the Panthers in September, said he believed he no longer had shared interests with the socially-active coalition and would continue on his own path with the unsigned Kaepernick, who was the first player to sit and then kneel during the anthem to protest racism and police brutality.